Transvulcania is upon us! Since 2012, the race has been an ever-present in the Skyrunner World Series and now it is acclaimed the world over as a pinnacle event. 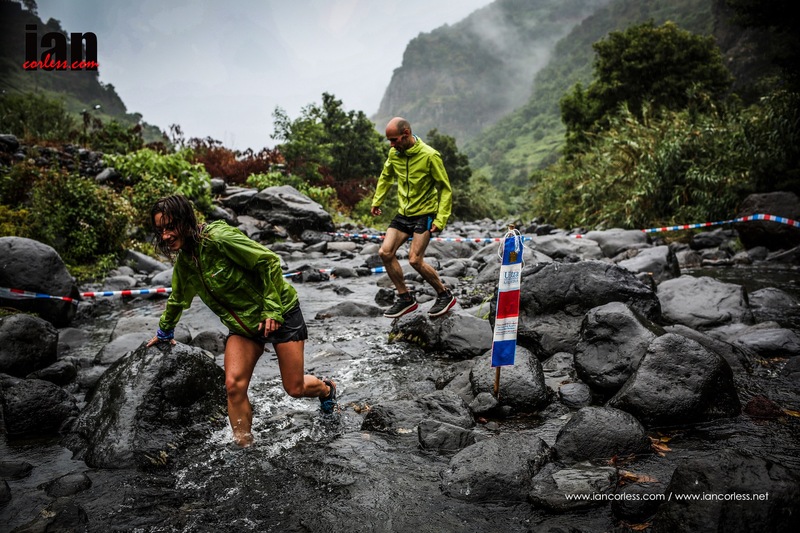 Taking place on the Isla Bonita (the beautiful island) of La Palma, the race personifies the pure ethos of Skyrunning. It is a wonderfully logical race route that starts next to the sea in the south of the island and concludes on the west of the island in the town of Los Llanos. The route offers 74km’s of amazing trails, wonderful views and technical trail and some real vertical ascent (4350m) and descent (4057m) that tests the legs, lungs and mind of the most experienced runner. Taking place on the GR131, Rute del Bastion, the route starts low and climbs and climbs into the National Park of the Caldera de Taburiente. Runners then traverse the rim to Roques de Los Muchachos before dropping over 2400m in one leg busting drop of 18km’s to the sea and Tazacorte Puerto before a final push upwards to the finish in Los Llanos. A decade of Transvulcania and La Palma magic. In 2009, just 378 runners toed the line, in 2018, 2000 runners will embark on the majestic journey. One only has to look at past winners of the race to understand the importance of Transvulcania on the world running map – Luis Alberto Hernando Kilian Jornet, Miguel Heras, Dakota Jones, Emelie Forsberg, Anna Frost and the 2017 champions, Ida Nilsson and Tim Freriks. 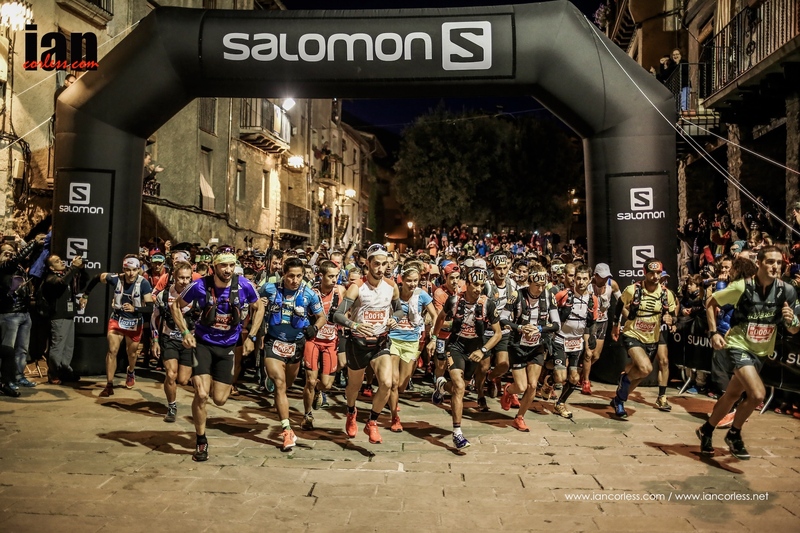 As in previous year’s the race has a stellar line-up of world-class talent and notably includes the Italian Skyrunning master, Marco De Gasperi. For Marco, this race will be a departure for him as he will arguably race one of the longest races ever in his remarkable career. He is, one of the first ever official Skyrunner’s who has pioneered and paved a way for the rest. His inclusion in the 2018 Transvulcania is an exciting prospect. Competition will come from all sides, in particular Xavier Thevenard who comes to the race with incredible results, however, he has raced at Transvulcania before and has always seemed to just miss the performances shown at the UTMB series of events which he has dominated. Will 2018 be his year? Zaid Ait Malek is a pure Skyrunner. He placed 3rd last year and this year may well place 2nd or take the top slot. The race is there for the taking and Zaid has all the skills to make it happen. Jason Schlarb raced in La Palma last year and had a solid result. He knows the race now and will be finely tuned to move up the ranks and potentially break into the top-5. Dmitry Mityaev has risen in the Skyrunning ranks over the last few year’s with a string of excellent performances. He has got better and better and it is fair to say we can expect a solid performance in La Palma. He prefers the longer distances, so, Transvulcania may well be ideal for the Russian. Michel Lanne rarely these days but when he does, he always excels. He has won CCC and TDS and last-year had a great run in Norway at Tromso SkyRace. For me, on his day, Michel is a potential winner for Transvulcania. Franco Colle was missing in 2017 from the Skyrunning ranks but he is back. A past winner of the Rut 50km, Franco is an experienced Skyrunner who will make his presence felt in La Palma. Morgan Elliott – 2016 and 2017 Skyrunner National Series champion. Cody Reed – 2nd Bandera 100km and winner of Mt Bachelor 50km. Cole Watson – 1st Canyons Endurance Run 50km. Daniel Jung – 2nd Hong Kong 100 in 2017. Fulvio Dapit – Consistent Skyrunner with great experience. Pau Bartolo – 1st at Buff Epic Trail in 2017 and 1st TDS 2015. Alfredo Gil – 8th Dolomites SkyRace. 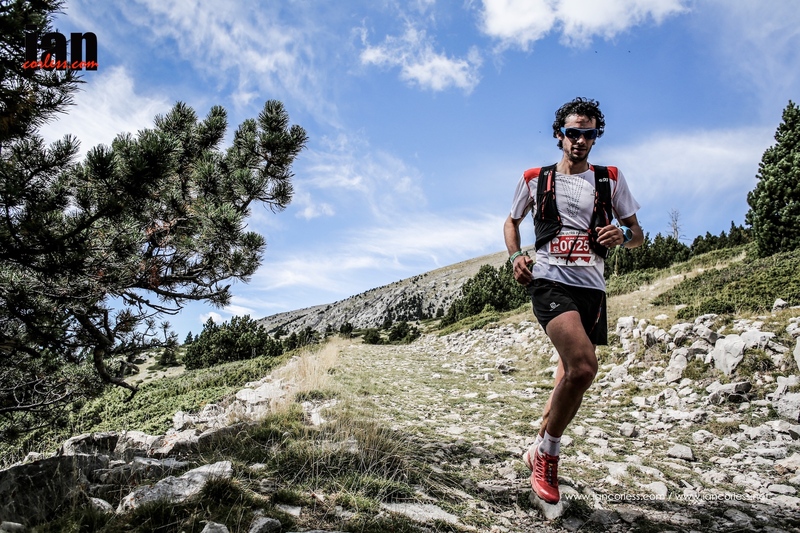 Pere Aurell – 4th at The Rut and 3rd at Royal Gran Paradiso. Thibaud Garrivier – 6th at OCC and Marathon du Mont-Blanc 2017. 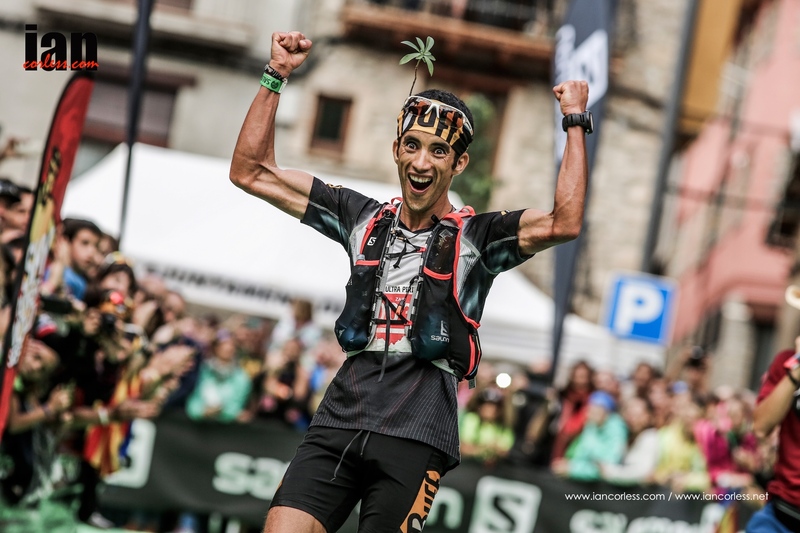 Ivan Camps – 5th at Ultra Pirineu. 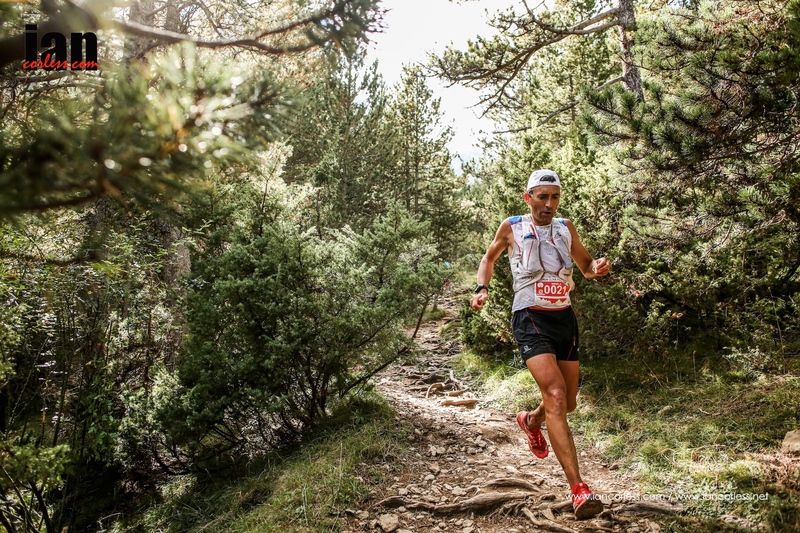 Francesc Sole – 7th at UTMB and 6th at Ultra Pirineu. Peter Kienzl – Long distance runner won won 360 Transgrancanaria. Jan Bartas – 4th Devil’s Ridge and 8th High Trail Vanoise. The ladies’ race has the 2016 and 2017 returning champion and course record holder, Ida Nilsson. In all honesty, if Ida shows any potential of her 2017 form, she will be unstoppable in 2018. She knows the course and has the speed and skills. Ekaterina Mityaeva like her husband, Dmitry, has grown in experience and stature over the last few years and we can expect her to bring that experience to La Palma. The podium is a distinct possibility! Anna Mae Flynn has won Speedgoat 50km and placed 3rd at Lake Sonoma 50, two races that indicate a solid performance at Transvulcania. However, racing in Europe is always different than the US. I still think we will see something solid from this lady. Cassie Scallon has won Bandera 100km and so we know the distance will not be an issue. In 2017 she had two notable wins at Gorge Waterfalls and Nine Trails. Brittany Peterson has won Moab Red Hot 55km and placed 2nd at the 50km event at Run Rabbit Run. She is a slid runner with a good skill set that should transfer over to Transvulcania well. Kelly Wolf may well be a dark horse after her recent win at Tararwera in New Zealnd. Arguably though, her 2nd at Speedgoat 50km and victory at Flagstaff SkyRace is more indicative of a good performance in La Palma. Francesca Canepa prefers the longer distance races and although she brings a wealth of experience I believe the Italian will lack the speed required to penetrate the top 5. Emilie Lecomte like Francesca is a long distance specialist and although she will perform well, it is unlikely she has the speed for the podium. Meredith Edwards placed 2nd at TDS which confirms that climbing is not an issue, the question mark will be does she have the speed required to make the podium? Eva Moreda is a solid Skyrunner who placed 5th in the 2017 Skyrunner World Series. Ildiko Wermescher 3rd at TDS, 2nd at Swissalpine T133 and 2nd Swiss Irontrail confirms that Ildiko can run and handle the vert, however, I think Transvulcania may well be around 30km too short for a podium performance. Laura Besseghini won the 2016 Dolomite Sky Run and in 2017 won Valmalenco Ultra Trail. Paloma Lobera potentially could impact on the top-10 but lacks the pace or speed for the podium. She placed 8th at Matterhorn Ultraks in 2017. Zuzana Bartasova – 7th at Trofeo Kima in 2016. Natalia Roman – 1st Ultratrack Supramonte 2016 and 2nd Mustang Trail Race 2017. Maylis Drevon – 11th Transvulcania 2017 and 2nd Marathon du Mont-Blanc 80km. In the marathon, a key name to watch out for is Ryan Sandes, and in the half marathon, Stian Angermund-Vik for the men and Laura Orgue for the ladies. 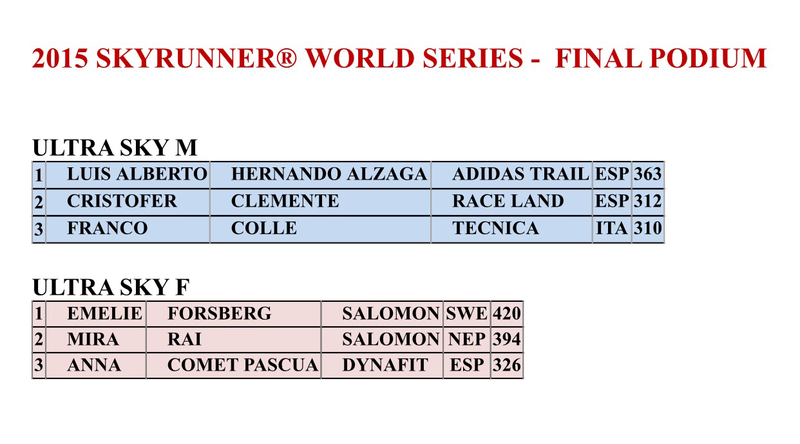 Action starts on Thursday with the Vertical Kilometer Transvulcania Binter starting in Tazacorte Puerto at 1700 hrs. The main events take place on Saturday with Transvulcania starting at 0600 and it is estimated that the first finisher will arrive in Los Llanos around 1230pm. Yes, it is a unique race! 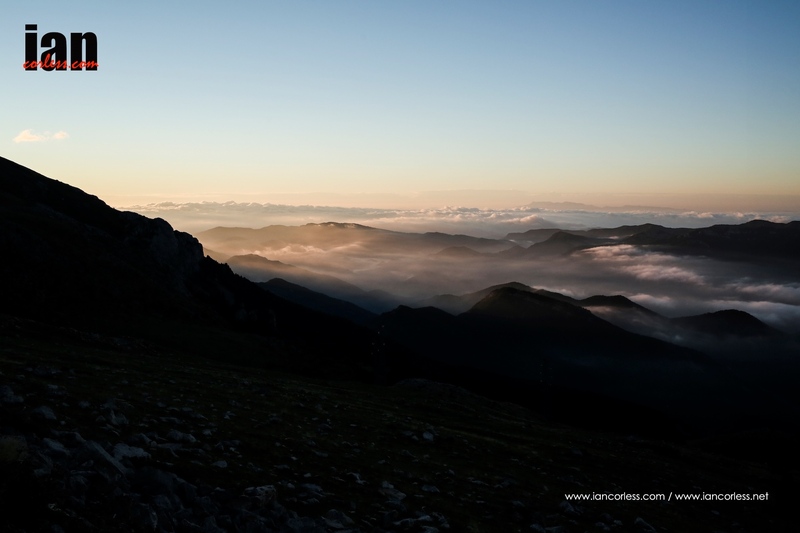 The Skyrunner® World Series 2016 roles on from Transvulcania Ultramarathon on the island of La Palma and now transfers to mainland Spain, the Basque country – Zegama! Due to it’s location, early season date and unpredictable weather, Zegama-Aizkorri has seen many epic battles. 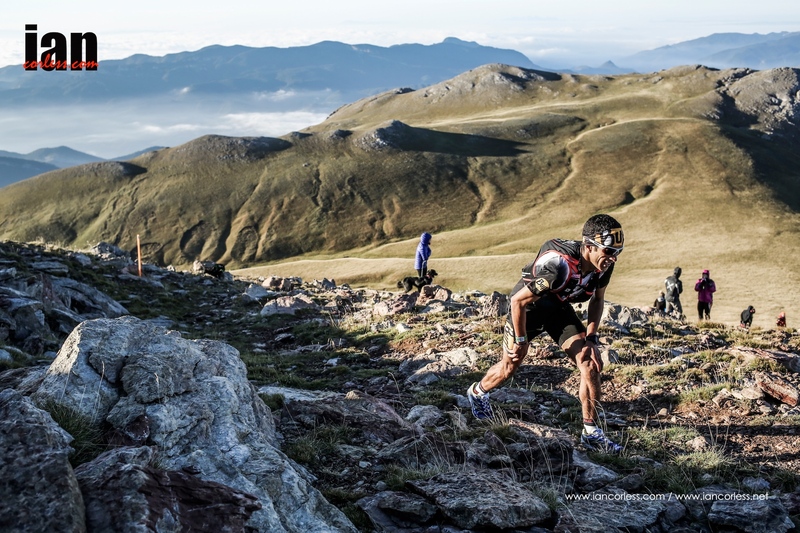 Catalan mountain running legend, Kilian Jornet has won the race an incredible six times. The combination of challenging terrain, vertical gain and descent and typically bad weather fall into the Catalans hands perfectly. It’s a race where strength of mind must be matched by the strength of the body. A quiet and sleepy place, Zegama is transformed on race weekend into a mecca of mountain running. The course is reassuringly predictable, however, as past editions have shown, the weather adds the variety and a glorious sunny warm edition can be followed with a snowy, wet and miserably cold edition. Taking in a loop over the Arratz massif and the Sierra of Aizkorri. Otzaurte provides an early indication of form on the day but it’s on the legendary climb of Sancti Spiritu where thousands of spectators line the trail where the action starts to unfold. Taking in the four highest peaks in the Basque Autonomous Region; Arratz, Aizkorri, Akategi and Aitxuri the highest at over 1500m. Zegama-Aizkorri is a classic mountain marathon distance race with 5472m of vertical gain. A ridge run at altitude leads to the final summit. Scrambling over rocks the final descent arrives which leads to the roads of this sleepy town, now transformed into a hub of colour and noise. 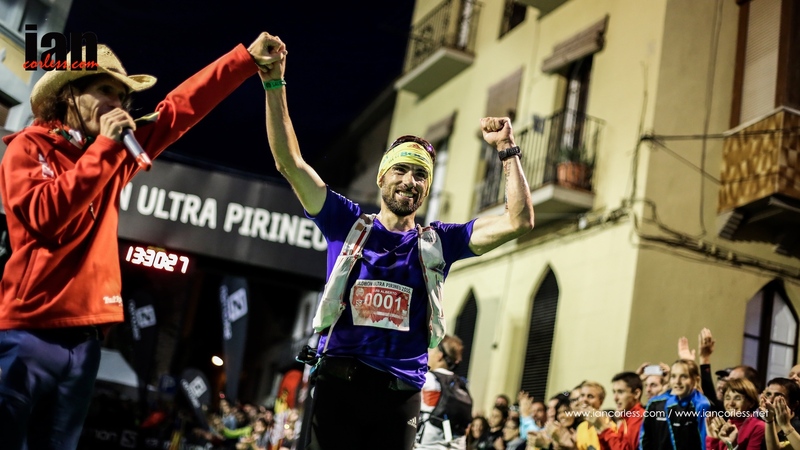 The race is notable for it’s history and one man alone has shone brightly at Zegama – Kilian Jornet. Many thought the Catalan would not run in Zegama in 2016 due to his exploits in mountaineering and his ‘Summits of my Life’ project, not so – Kilian will run! Needless to say, Kilian is the favourite! In all honesty, as one would expect, the quality of the line up at Zegama is exceptional, particularly in the men’s race. The ladies race is without doubt one of the weakest line-ups in recent years – Emelie Forsberg is injured, Laura Orgue is injured, Elisa Desco is injured, and the race is also missing, pocket rocket, Stevie Kremer amongst others. Luis Alberto Hernando just blitzed the Transvulcania course once again and although you can’t rule him out, I can’t help but think he will just miss that extra few percent (due to fatigue) of energy needed and required to top the podium. He will fight all the way to the line though and he will unleash a breakneck descent for potential victory. Remi Bonnet has looked for an opportunity to race Kilian for sometime. Yes, he is that keen… he has been tipped by many, me included, that he may well be ‘the next big thing’ in the world of Skyrunning. He is an incredible talent in the VK discipline and as he showed at the Rut in Limone, he is also an incredible talent at the Sky distance. Remi could well push Kilian all the way to the line but I will still give KJ the nod for victory. Tadei Pivk was a man on fire in 2015 and was champion of the Skyrunner World Series. He has already started his 2016 well with races in Italy and a recent 2nd place at Yading SkyRun in China. Tadei love Zegama- Aizkorri and he always finds the form to make an impact on the podium. Saul Padua is a VK specialist and a very good one! He recently won the Transvulcania VK and in 2015 he dipped his toe in the Sky distance, in particular the Dolomites where he lead the charge to the summit only to loose his lead on the descent. I can’t help but feel that Zegama will be a similar scenario – he will run top-5 early on but potentially will loose places on the long descent to the line. If the weather is bad and it looks as though it may be, I think that will impact on his race even more. Marc Lauenstein is yet to be confirmed as running but if he does, he could really shake things up. He recently won the Three Peaks in the UK ahead of Ricky Lightfoot and Tom Owens. The UK fells are actually the perfect training ground for Zegama, so, if Marc runs – watch out! Manuel Merillas like Tadei has illuminated the Skyrunner World Series with a string of world-class performances over multiple distances. He was 3rd at Limone behind Remi Bonnet and Tadei and at Lantau 2 Peaks he placed 2nd behind Remi relegating Tadei to 3rd. For sure, Manuel will be in the mix for a podium place. Tom Owens is yet to be confirmed as participating although he is on the start list. Tom is made for Zegama with a strong background in fell running. The terrain and mountains in this region of the Basque country offer the Scot a unique playground and what that he embraces. His recent podium place at the Three Peaks in the UK shows he is in form. Aritz Egea is the ever consistent Skyrunner with a string of victories, podium places and top-10 results. He does have the ability to win Zegama, he just needs a little luck. Expect him to go out hard, potentially lead the race early on with the hope of clinging on to a lead to the finish. Ionut Zinca like so many listed above has the potential to win and almost certainly make the podium. An ever-present on the Skyrunning circuit with consistent results at Zegama, the Dolomites, Limone and so many more, if Ionut is on form, we can certainly expect him to push throughout the race for the top slot. Zaid Ait Malek raced Transvulcania and therefore may well be a little tired for Zegama. However, he knows how to run this race and has placed well within the top-10, I don’t see him winning but top-5 is possible. Jokin Lizeaga and Eirik Haugsness head up the leading runners for a top-10 placing along with Pere Rullan, Pablo Villa (tbc), Hassain Ait Chaou, Jessed Hernandez and Nil Cardona. Megan Kimmel heads up the ladies race after a recent victory at Yading SkyRun and an impressive 2015 Skyrunner World Series season. To say Megan has been on fire would be an underestimation and it was actually a real surprise that she did not win the 2015 Skyrunner World Series – a below par performance at Limone Extreme ruined her chances. But her string of victories, particularly at the Dolomites SkyRace when she beat Laura Orgue elevated her to ‘hot’ for all the Skyrunning races – watch out! Yngvild Kaspersen is the female equivalent of Remi Bonnet. In 2015, her first racing season, she rose through the ranks with a series of impressive runs both in the VK and Sky distance and she was rewarded with victory in Hong Kong at the Lantau 2 Peaks in horrendous conditions. If conditions in Zegama are wet, cold, miserable and slippery underfoot, Yngvild may well shine and take victory! 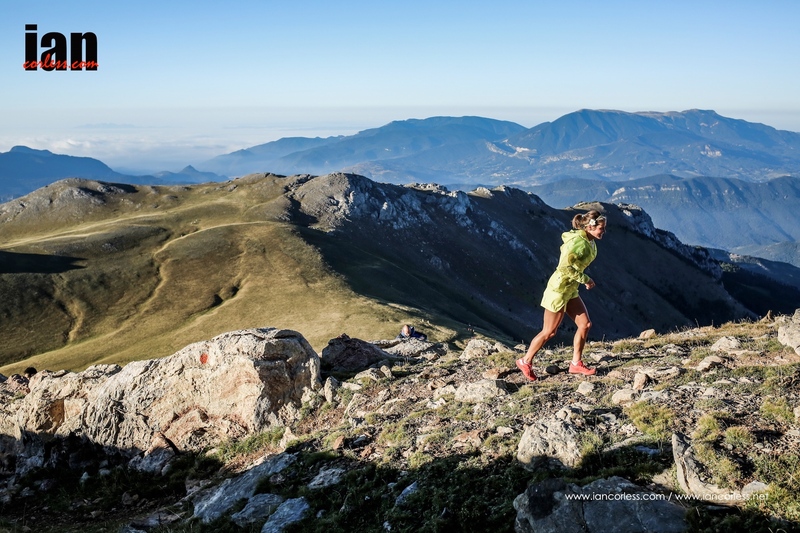 Maite Maiora is an ever-present on the Skyrunning circuit and only races one way; hard! Over the winter she took time out for an operation and therefore her training may well have been compromised. On her day, Maite is without doubt podium potential and in and amongst this ladies field, I think she has every chance of a top-3 slot. Azara Garcia won Zegama and then had a string on injury issues which leaves many question marks about her form? If she is fit and well, then we can expect Azara to give Megan a race. 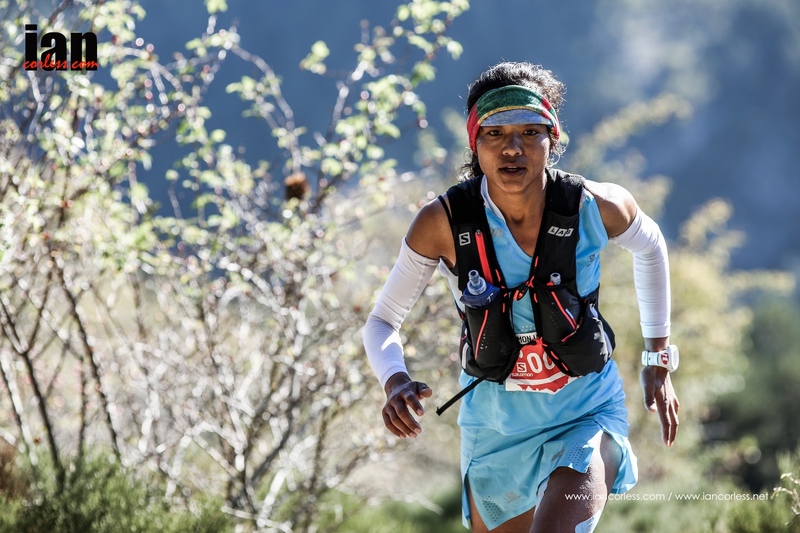 Oihana Kortazar is yet to be confirmed as running but she recently raced the marathon distance in Transvulcania. A lady who knows the mountains and trails of Zegama very well, I would expect a podium place. Anna Comet raced Transvulcania and had to pull out with an injury. Although her name is on the start list I question if she will run? My gut feeling though is that this race is maybe too short for her skills; a longer race suits her better. The same applies for Portugal’s Ester Alves. A great long distance runner who can handle technical trail, the short sharp shock of Zegama may well be too much of an ask for a podium place. Top-10 is a distinct possibility for both. Paula Cabrerizo and Nuria Dominguez head up the charge behind the three ladies above, both have all the ability to make the podium and yes, a victory is possible. Marta Molist Codina, Aitziber Iberia and Eva Maria Moreda Gabaldon form the next wave of contenders and of course, we have to anticipate surprise performances that we just can’t account for. Alicia Shay placed 4th at Transvulcania Ultramarathon and although on the start list, she will not run. Nuria Picas was looking to defend her ‘home’ crown in a race that she has won for the last 4-years. Luis Alberto Hernando, champion in 2013 and 2014 was returning looking to make it a triple but more importantly the Skyrunner® World Series title for the ultra distance was at stake. Add to the mix Kilian Jornet and Emelie Forsberg, the last time the duo raced here in Baga was 2012. Kilian won that year ahead of Anton Krupicka and Dakota Jones, Emelie placed 3rd behind Nuria Picas and Anna Frost. Starting at 0700 in the center of Baga, one has a full appreciation of how important running has become in Spain and I guess more importantly here in Catalonia. Kilian and Nuria are as important if not more important than football stars here in this part of the world. Autographs, photographs, shaking hands, pats on the back and the noise; wow the noise is incredible! Yes, they are the ‘Messi’ of the running world in these parts. The day was always going to be one full of drama and battles. We had a race within a race and as such one had to keep an eye not only on who was running in the top-3 but also who was running in the top overall rankings. Coming into Ultra Pirineu Franco Colle was 1st in SWS rankings followed by Cristofer Clemente in 2nd and Luis Alberto Hernando in 3rd. It was all up for grabs. For the ladies the battle was relatively straight forward; if Emelie won the race she would be SWS champion. If Mira Rai won the race, she would become champion. From the gun Emelie made her intentions clear and took hold of the race from the front and it stayed that way for the whole 110km. Although the story changed a little behind the dominant Emelie, the writing was on the wall; Mira Rai would place 2nd and Nuria Picas would place 3rd. At times Mira looked to close the gap and then it would extend whereas Nuria looked resigned to a solid 3rd place. The men’s race was a little more unpredictable! I say unpredictable but in all honesty, did we (I) ever think anyone other than Kilian Jornet would win the race? I know I shouldn’t say that; anything can happen in 110km but barring an accident or some unforeseen problem, I really didn’t see any other scenario playing out. In the early stages Jessed Hernandez, Miguel Heras and Zaid Ait Malek accompanied the Catalan over the undulating terrain. Kilian always looked relaxed and in control. The protagonists changed at the front of the race, Miguel and Zaid would take a turn to pace and all the time Kilian would run in 2nd keeping his powder dry. The elastic finally snapped with Zaid and Kilian taking the front and opening up a gap over Miguel. Behind the lead trio a battle was unfolding. Franco Colle SWS leader coming into the race dropped with sickness; his 2015 SWS chances over! Cristofer Clemente was running in 4th and Luis Alberto Hernando clearly tired from his 2nd place efforts at UTMB just 3-weeks earlier was running in and around the top-10 battling to win the SWS title. Miguel didn’t give in though, he found some internal strength with 85km’s covered and closed the gap to then take over the lead with Kilian as Zaid faded. Over the final km’s, Kilian put his foot on the gas on one of the final climbs and quickly opened up a 6-minute gap over Miguel. The writing was on the wall, Kilian would win the 2015 Ultra Pirineu and he would be welcomed by a home crowd like a long lost son. Behind the drama unfolded, Zaid refused to give in. He once again caught Miguel and this time pulled away and never looked back. He finished 2nd and produced one of the most impressive display finish line antics I have witnessed. Miguel took the final podium place and then attention turned to the SWS ranking. Cristofer Clemente finished 4th and Luis Alberto Hernando had to finish in the top-15 to take the SWS crown; he did it! It has been quite a year for Luis. A series of high ranking victories and podium places, 2nd at UTMB, Skyrunning European Champion and now the 2015 Skyrunner® World Series Champion. Bravo! Attention now turns to Limone Extreme for the respective SWS titles in VK and SKY. Haria is a small village in northern Lanzarote, an iconic island for sport and of course the Lanzarote Ironman. Made of beautiful trails that are quite unique, the island is playground for any enthusiast of sport! Arista Events one day dreamed of a race to show the spectacular natural areas and surprises Lanzarote has to offer. At times technical, the terrain provides many challenges for runners irrespective of the distance they will run. 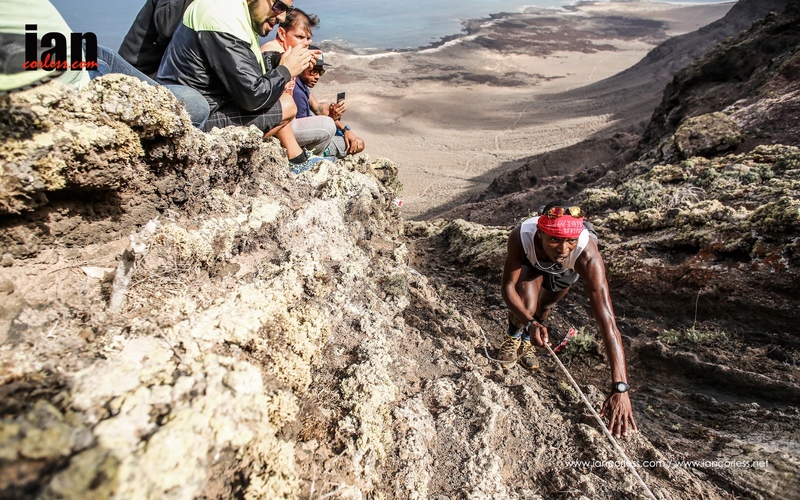 For the marathon and ultra runners, the stunning climb from the sea to the summit through a steep wall of rock (aided by rope) is without doubt a highlight of the race. Haria Extreme is a stunning weekend of running, relaxation, partying and experiences. It’s a highlight on the calendar. The Arista Events team do an incredible job of assembling a high quality elite field and provide world-class organisation to make the event tick like clockwork. The presence of ‘running legend’ Marco Olmo had this sport mad island excited and his film showing on Friday night was warmly received. But the action is not just for the adults. Several kids races took place on Friday afternoon and quite rightly each child had the same race number; no 1. A great way to show that all children are important and that inspiring them to race young is without doubt guaranteeing a healthy future for the sport we all love. Racing over, the town partied to live music, an abundance of tapas and flowing wine and beer. Lanazrote and Arista know how to put on a race and without doubt know how to celebrate! Put this race on your bucket list. It’s a cracker. It’s the day before the 2015 Ultra Skymarathon Madeira and this morning we had a shake out on a couple of sections of the course with several of the top elite athletes including Stevie Kremer and Ricky Lightfoot. Renowned for glorious sunshine, Madeira today showed us a very wet day. The rain poured and poured. It seemed appropriate that the days short run concluded with a run up a riverbed that ultimately will be a very important section of the USM2015 race. Wet rocks that will require boulder hopping is never an easy prospect and this section of the course last 500m. It’s going to be tough. Racing starts tomorrow at 0600 local time. You can read a pre race preview HERE.